There’s nothing better than a good bedtime story. When I was a young bairn I used to sit under the blankets at night and read with a torch. As the nights get longer and colder, snuggling up with a good bedtime story is essential. NAIRI is a great bedtime story. NAIRI tells the story of a small girl, whisked away at night after her parents are arrested by the Royal Guard. 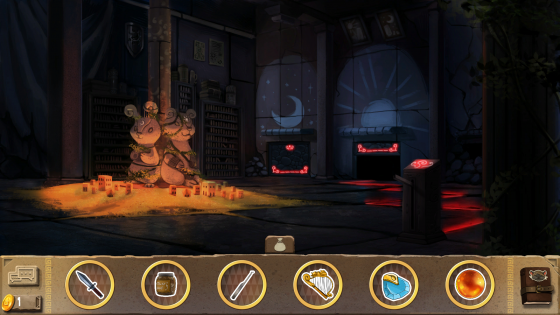 To say much more would spoil things, so let us just say that adventure, secrets and puzzles ensue. There’s also a great tone, plus anthropomorphic animals galore and cuteness to spare. Perhaps more importantly though, there’s also intrigue and some wonderful world building. It’s definitely a game you could play with children, but also a game that I, a fully-grown man, found both intriguing and riveting. I’ve been playing it like a bedtime story, a little bit at a time at night, with the Switch in portable mode. The game facilitates this perfectly. There are puzzles, but not of the predictable ““use tape to create a moustache to impersonate a man who doesn’t have a moustache” type. There’s an option to use the JoyCons as pointers on the TV too – handy for those not playing while under a duvet. The presentation helps the bedtime story feel. The graphics are lovingly hand-painted, and the music is mellow and relaxing, like a mug of hot tea. What most impressed me, however, is how skilfully HomeBearStudio’s introduces and develops characters. The cute and expressive graphics and the excellent writing harmoniously work together to give the game world a lived-in feel, and even characters only met for a brief while overflow with personality. Nairi, who you spend the most time with, is particularly great. Impulsive, cute and adventurous in a totally believable way. I was really charmed by her. If you can’t tell, I enjoyed my time with Nairi. 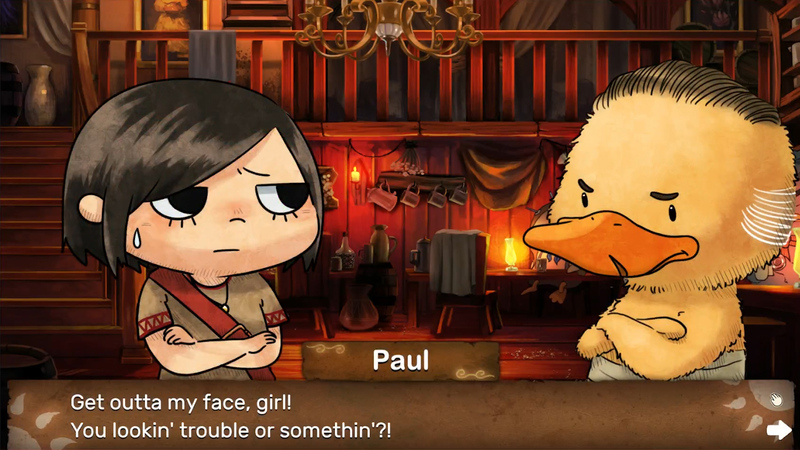 If you want to kick back, solve some puzzles and get caught up in a new world, you should consider NAIRI: Tower of Shirin as your next bedtime novel. Richard is one of those human males they have nowadays. He has never completed Teenage Mutant Ninja Turtles on the NES and this fact haunts him to this day.